With less than 3 weeks to go until Christmas (eek! ), there is no escaping that we’re counting down the days until THE big day. There are lots of fun and entertaining Christmassy apps out there so we take a look at some of the best to brighten up your day and get you into the festive spirit. 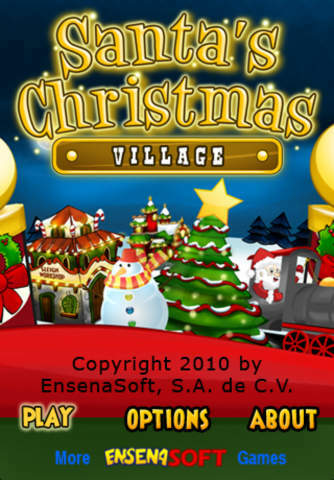 Not just for kids, this app is packed full of lovely yuletide activities, music and games. Guaranteed to keep the youngsters busy and occupied over the next few weeks and throughout the Christmas holidays. There are matching games with Santa’s presents as well as Rudolph and friends (you can also learn the names of all his reindeers), winter-themed maths puzzles, Sudoku and some great Christmas tunes. Highly recommended! If you never had a go and Elfing Yourself then it’s definitely time you did! Hours of entertainment creating your very own dancing elves with a choice of hilarious dances including Elf Hip Hop, the 1980’s and even a Charleston number. All you need to do is upload your photo (& up to 4 others) and superimpose your head onto the body of a Christmas Elf to make your hilarious ElfYourself video to share with family, friends and colleagues. If you’re into food or fancy yourself as a bit of a chef, this fab BBC Good Food app is very handy. Featuring almost 200 Christmas-themed recipes for canapés, starters, mains deserts and drinks it’s full of suggestions for festive gatherings. It comes with simple instructions, useful videos, lots of tips and a timer so you can time your food to perfection. It’s easy to find recipes by meal-type or you can search for inspiration according to whatever you’ve got in your cupboards. 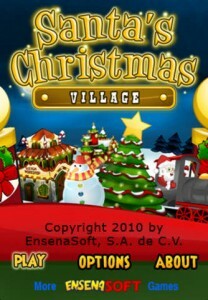 An app version of that good old Christmas classic Charades! No more fighting over titles to re-enact or who’s in charge of keeping the score, this great app does it all for you. A fun game to keep all the family amused, there are even categories and themes to select to generate the titles to be mimed and you can even choose how difficult the topics are. A must for any family get-togethers. Not only a free app but you can send gifts (well virtual ones) to your friends and family too which won’t cost you a penny! Choose your virtual gifts and a box to wrap them in, create a message to accompany your present and decide who to send them to. All the presents will be ready and waiting for the recipients to open on Christmas day, it links up with Facebook so you can see who receives what. Fun for kids and big kids alike.